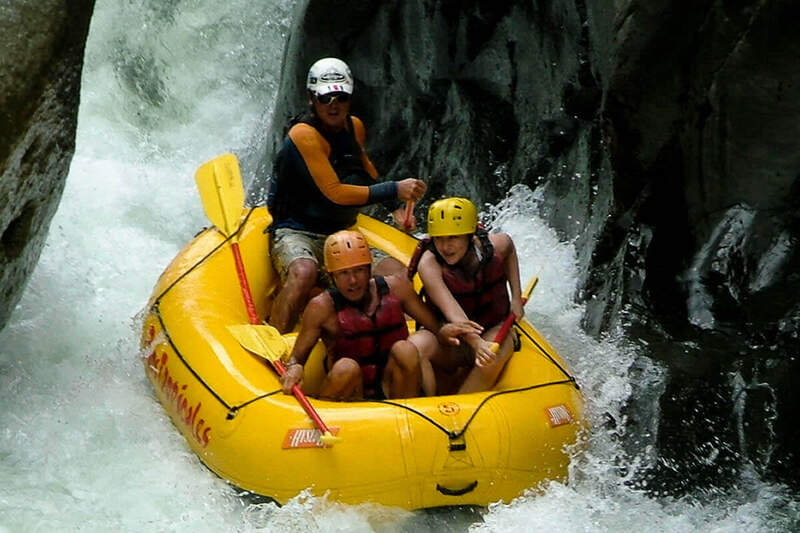 Your trip starts with a short 40 minute trip north of the Quepos / Manuel Antonio area. 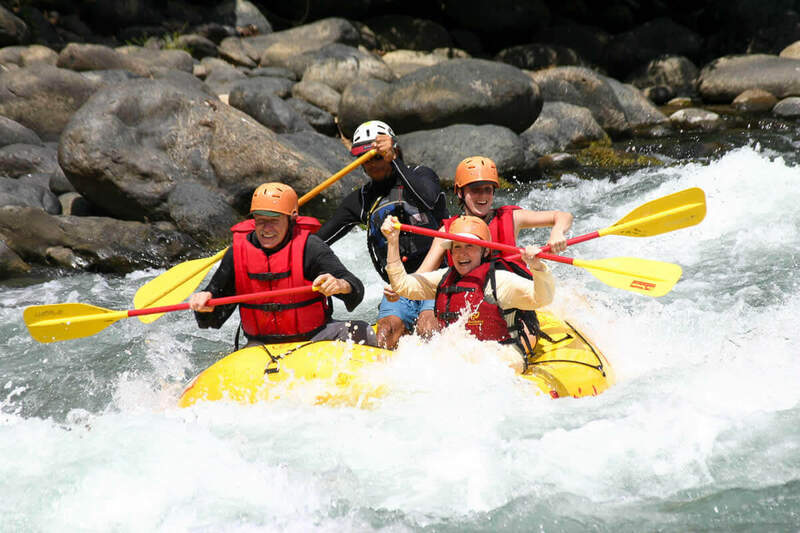 Through neighboring villages of Naranjito and Villa Nueva to your entry point. 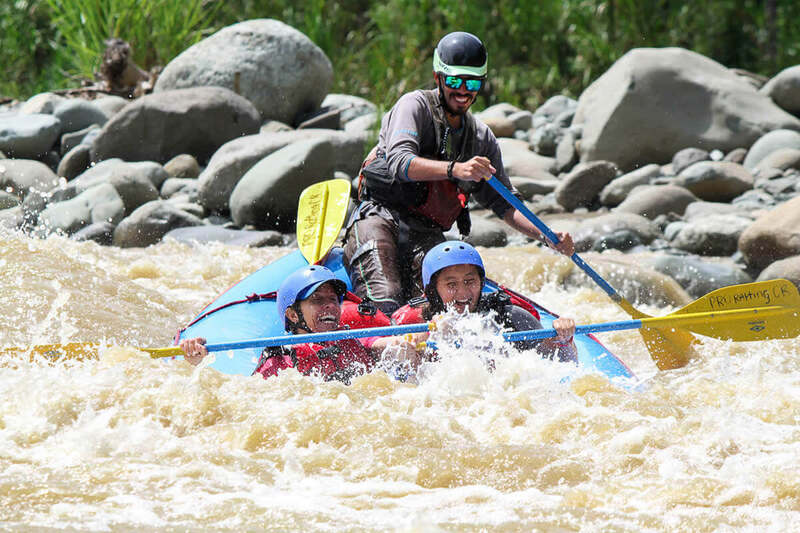 You will get a thorough safety briefing from our professional bilingual guides, followed by a quick watermanship test before you are on your way. 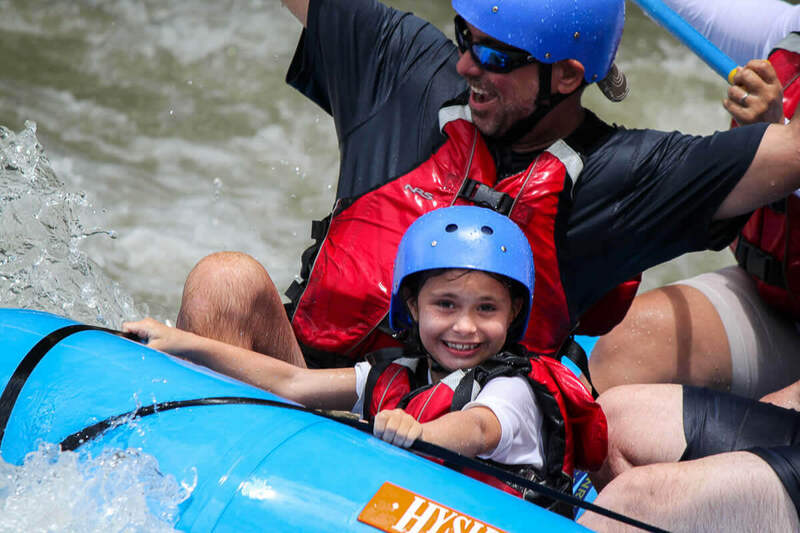 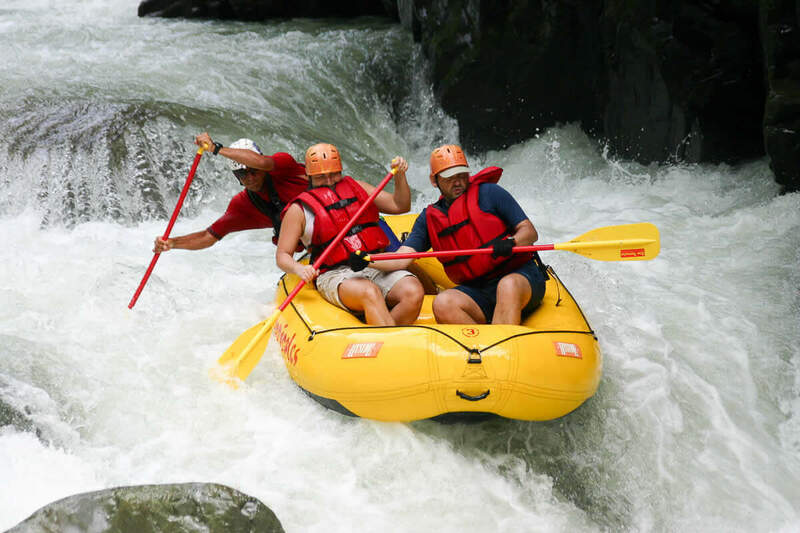 It is a 3km canyon run, with drops, rushing rapids , that will bounce and maneuver you around the river for a full on whitewater rafting adventure. 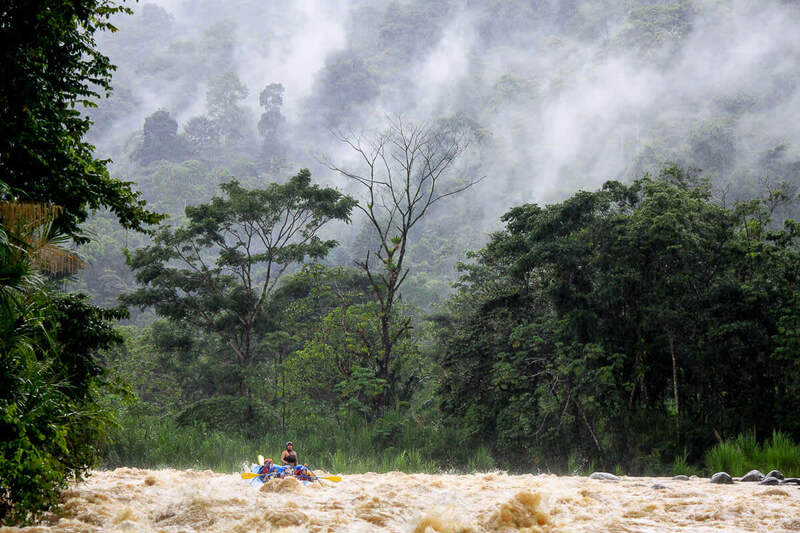 Between crazy rapids, you will get some moments to take in the amazing, lush rainforest around you before continuing on. 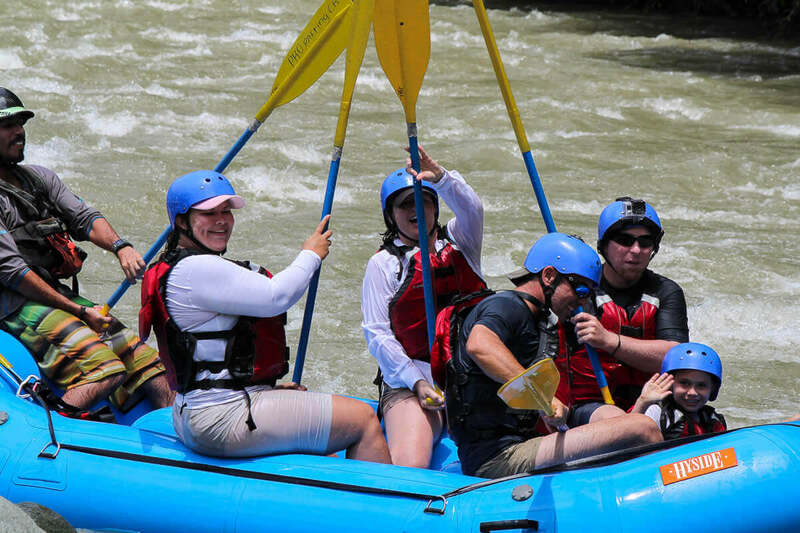 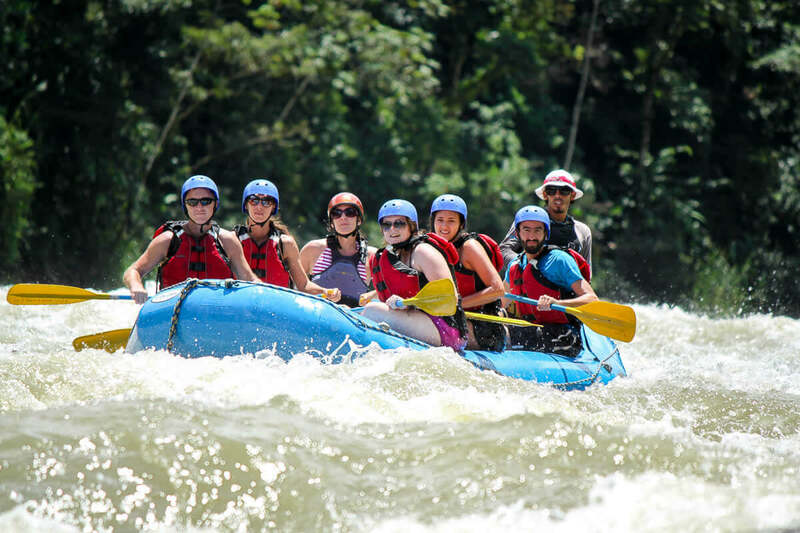 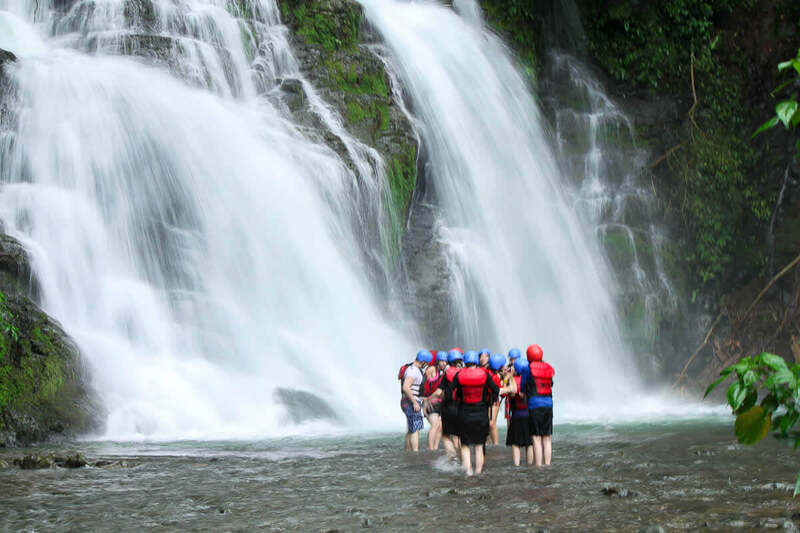 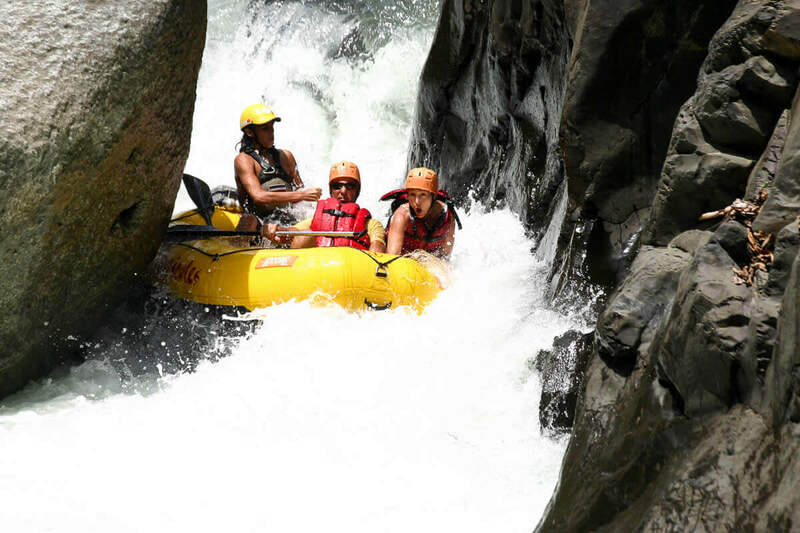 After an adrenaline pumping rafting experience, you will then get to relax and enjoy some refreshing snacks, before heading back to your hotel in the Manuel Antonio, Quepos area. 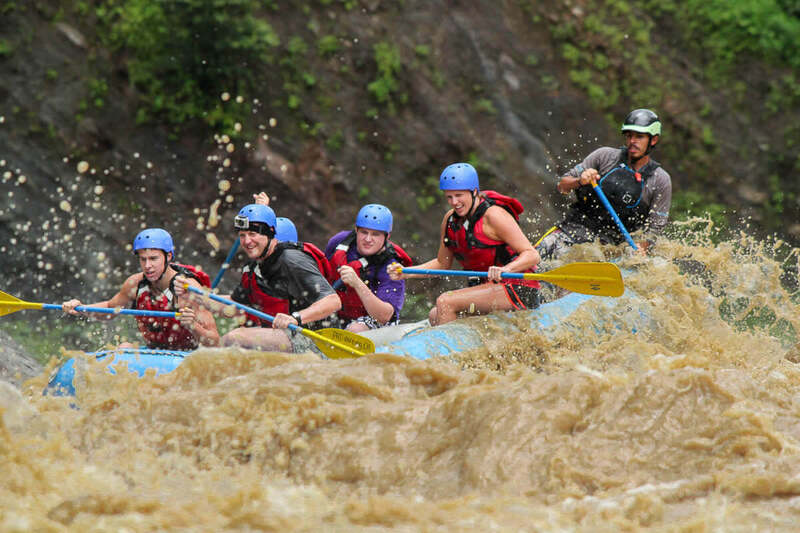 This is truly a whitewater experience to remember.